Legal malpractice claims in recent years have remained relatively steady, but defense costs, claimed damages and settlement sums have all climbed. That’s according to the latest survey of some of the leading lawyers’ professional liability insurance companies, revealing troubling trends that argue in favor of doing what many attorneys are loathe to do — taking the time to look closely at the language of their legal malpractice policies before they’re hit by a claim. Considering that 5 to 6 percent of all attorneys will face a malpractice claim this year, here are six things to keep in mind if you’re either shopping for a policy or renewing. 1. Figure out whether the limits of liability in your policy are “eroded” or “exhausted” by defense costs. You can save money by buying a “burning limits policies,” in which each dollar spent in the defense of the claim reduces by a dollar the amount available to pay a judgment or settlement. That, however, could quickly leave you with insufficient coverage, especially if things drag on. In other words, you’ll wish you had bought a more robust policy. 2. Speaking of which, today’s malpractice policies bear little resemblance to older policies. Enhancements of all kinds are now available, including pre-claim intervention coverage, which can help a firm protect itself against a potential loss even before a claim has been made. And when a claim is filed, some policies now allow a law firm to pick a defense counsel of its choosing, rather than accepting an attorney assigned by the insurer. Which would you prefer? Working with a lawyer you trust or a complete stranger? 3. 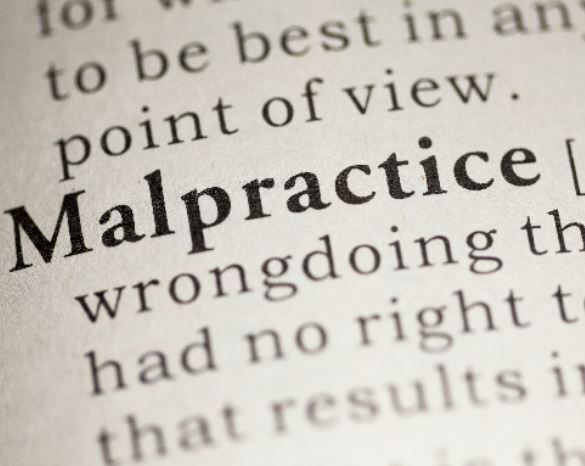 Most legal malpractice policies are “claims-made” policies, meaning they cover only claims made during the policy period. Some, however, require that the claim be reported to the insurer during the policy period as well. Such policies are called “claims-made-and-reported” policies. Failure to follow the reporting requirement to the letter gives the insurance company room to deny coverage. When in doubt about whether a claim has been made or not, the best thing to do is to always report. In other words, not reporting is not an option. 4. Most lawyers do a lot more than just legal work. They can be title agents, trustees, conservators, administrators, arbitrators and mediators. 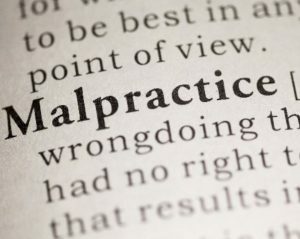 The problem is, most legal malpractice policies are very specific in defining what is considered a “professional service,” so be sure to check your policy definitions and compare them to the activities your firm’s lawyers are involved in. If they’re making money doing it, be sure it’s covered by some kind of policy. 5. The cheapest malpractice insurance policies are written so that the insurer can rescind the policy if you failed to disclose all of the relevant facts in answering questions on your application. Insurers don’t need proof you intended to answer inaccurately. They can rescind simply because they could have charged you a higher (or even lower) premium if only they had gotten the correct information. Of course, claims against you won’t be covered if the policy is rescinded. So be careful and thorough in filling out applications. 6. Insurers also can abruptly cancel policies for nonpayment of premiums, even if you didn’t mean to miss the payment. The better policies, thankfully, require what should be ample warning before any cancellation for nonpayment. The above covers a few of the bases. As with most things, there’s more. Just know that failing to have a full understanding of your professional liability insurance policy can leave you at risk of significant liability exposure and possibly a very expensive malpractice case. Scott Carlson is a Vice President at CCIG, a Greenwood Village, Colo.-based business and personal lines insurance brokerage. Reach him at ScottC@thinkccig.com. This article first appeared in the Docket.